Victoria Agregado- Foster Home Price: Contact Us! A care home is available at Agregado, Victoria with 3 bed(s). No further information is available at this time. CareSift is attempting to contact this care home to provide more information. Barrios, Janet Price: Contact Us! A care home is available at Janet Juan Barrios Foster Care Home with 0 bed(s). No further information is available at this time. CareSift is attempting to contact this care home to provide more information. Cheryll Collado Adult Foster Association of Hawaii Price: Contact Us! A care home is available at Cheryll Collado Foster Home with 0 bed(s). No further information is available at this time. CareSift is attempting to contact this care home to provide more information. Rowena R. Daligcon’s Foster Home Price: Contact Us! A care home is available at Daligcon, Rowena with 1 bed(s). No further information is available at this time. CareSift is attempting to contact this care home to provide more information. Dumot, Charlita-6646 Price: Contact Us! A care home is available at Dumot, Charlita with 3 bed(s). No further information is available at this time. CareSift is attempting to contact this care home to provide more information. Baltazar Mayo Foster Carehome Price: Contact Us! A care home is available at Baltazar Mayo Foster Carehome with 1 bed(s). No further information is available at this time. CareSift is attempting to contact this care home to provide more information. Shervi Ragasa Foster Home Price: Contact Us! A care home is available at Ragasa, Shervi with 1 bed(s). No further information is available at this time. CareSift is attempting to contact this care home to provide more information. Dominica Tabisola -Foster Price: Contact Us! A care home is available at Tabisola, Dominica with 1 bed(s). No further information is available at this time. CareSift is attempting to contact this care home to provide more information. United Caregivers- Sam Vadisirisak Foster Home Price: Contact Us! A care home is available at United Caregivers with 2 bed(s). No further information is available at this time. CareSift is attempting to contact this care home to provide more information. Anabel Villa Care Home Serenity Care Home Price: Contact Us! A care home is available at Vila, Anabel with 1 bed(s). No further information is available at this time. CareSift is attempting to contact this care home to provide more information. Aida’s ARCH – Aida Bautista Price: Contact Us! A care home is available at AIDA'S with 3 bed(s). No further information is available at this time. CareSift is attempting to contact this care home to provide more information. CALUCAG III-6996 Price: Contact Us! Point of Contact: Kaimuki Care Home, L.L.C. A care home is available at CALUCAG III with 5 bed(s). No further information is available at this time. CareSift is attempting to contact this care home to provide more information. Editha Galacgac Care Home – EDEN LEI’S Price: Contact Us! A care home is available at EDEN LEI'S with 5 bed(s). No further information is available at this time. CareSift is attempting to contact this care home to provide more information. Espinoza Care Home ARCH – Maria Espinoza Price: Contact Us! A care home is available at ESPINOZA'S with 3 bed(s). No further information is available at this time. CareSift is attempting to contact this care home to provide more information. Vera Popova ARCH FAITH HARBOR ADULT CARE-7057 Price: Contact Us! Point of Contact: Popova, Vera Ms.
A care home is available at FAITH HARBOR ADULT CARE with 2 bed(s). No further information is available at this time. CareSift is attempting to contact this care home to provide more information. FLOJO QUALITY AFFORDABLE CARE HOME LLC Price: Contact Us! A care home is available at FLOJO QUALITY AFFORDABLE CARE HOME with 0 bed(s). No further information is available at this time. CareSift is attempting to contact this care home to provide more information. GOLDEN AGE HEALTH CARE- ARCH/ E-ARCH Price: Contact Us! A care home is available at GOLDEN AGE HEALTH CARE with 5 bed(s). No further information is available at this time. CareSift is attempting to contact this care home to provide more information. HALE NOHEA, L.L.C. ARCH Care Home Price: Contact Us! A care home is available at HALE NOHEA, L.L.C. with 3 bed(s). No further information is available at this time. CareSift is attempting to contact this care home to provide more information. HERNANI T. VALENZUELA AGUILAR ARCH/EC-ARCH-7115 Price: Contact Us! A care home is available at HERNANI T. VALENZUELA AGUILAR ARCH/EC-ARCH with 0 bed(s). No further information is available at this time. CareSift is attempting to contact this care home to provide more information. 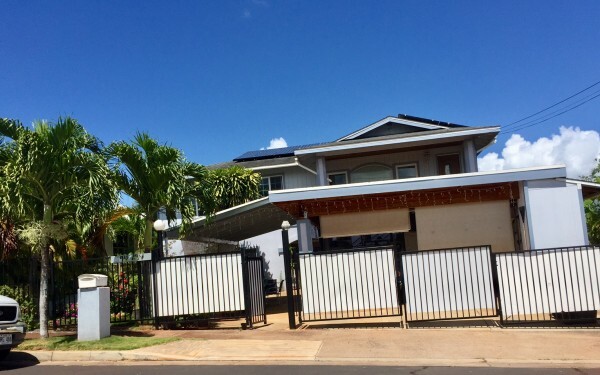 HOKULAKI SENIOR LIVING, L.L.C.-7120 Price: Contact Us! A care home is available at HOKULAKI SENIOR LIVING, L.L.C. with 2 bed(s). No further information is available at this time. CareSift is attempting to contact this care home to provide more information. ISLAND PROMISE ARCH, L.L.C.-7134 Price: Contact Us! A care home is available at ISLAND PROMISE ARCH, L.L.C. with 5 bed(s). No further information is available at this time. CareSift is attempting to contact this care home to provide more information. J & A Expanded ARCH – Susan Bondoc Price: Contact Us! A care home is available at J & A with 1 bed(s). No further information is available at this time. CareSift is attempting to contact this care home to provide more information. JML Care Home Price: Contact Us! A care home is available at JML Care Home with 2 bed(s). No further information is available at this time. CareSift is attempting to contact this care home to provide more information. Jean Ramiro Expanded ARCH JRR ARCH-7150 Price: Contact Us! A care home is available at JRR ARCH with 5 bed(s). No further information is available at this time. CareSift is attempting to contact this care home to provide more information. KNIGHT’S VICTORIA HOUSE Price: Contact Us! 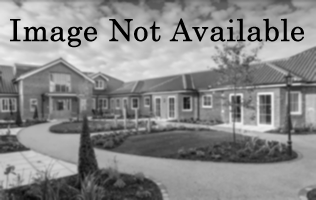 A care home is available at KNIGHT'S VICTORIA HOUSE with 5 bed(s). No further information is available at this time. CareSift is attempting to contact this care home to provide more information.